Dorothy Slimmer, shown above, will celebrate her 90th birthday in Manhattan on July 18 with family and friends. Cards can reach her at Meadowlark Hills, 2121 Meadowlark Rd., Collins House, Manhattan, KS 66502. 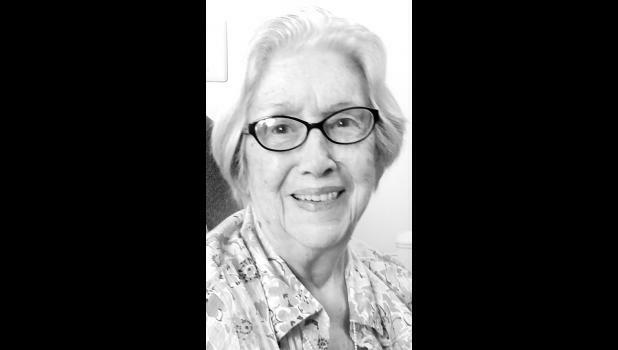 She and her husband, Gordon Slimmer, lived in Holton for more than 47 years. Dorothy remembers Holton fondly and the Topeka Avenue neighborhood. She has three children, five granddaughters and one great-grandson: Dennis (Kathy) Slimmer, Dallas (Travis) Brown, Sylvia (Steve) Murphy, Barb (Steve) McClintock, Deb (Kevin) and son Calvin Reynolds and Don (Cheryl) Slimmer, Kaycee and Mindy. She also enjoys visits from Dave and Pat Shrader.